Fully battened mainsails are an excellent choice for cruising sails, as they help prolong the life of the sail through reduced flogging when raising, lowering and tacking the sail. 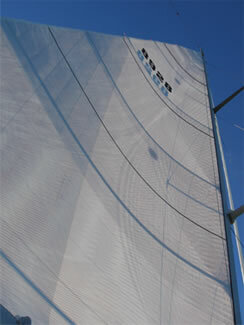 They also offer extra support, meaning your sail will hold its designed shape a lot longer. Something to consider is that it is important to use good quality hardware at the luff end of the battens. Spending a little extra here will help to avoid any problems with jamming when you are raising or lowering the sail. When combined with a Doyle StackPack, a Fully Battened Mainsail becomes a breeze to handle – even when sailing short handed. In-Boom Furling Units are becoming more and more popular on mid-size and larger cruising yachts, where they offer the opportunity to have a fully automated furling system without compromising the sail area or performance of the Mainsail. This is because we can build a sail with full-length battens and the same roach profile as we would on a standard Mainsail. In-Mast Furling Units are usually found on older cruising boats but are still a very popular choice for the off-shore market. 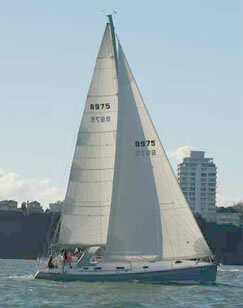 They offer a very convenient way to furl the sail and offer a user friendly shorthanded solution to the cruising sailor. Traditionally the inmast furling Mainsail was viewed as an inefficient sail for windward performance but with the solution of vertical or Doyle patented swing battens performance is greatly improved.